Is your conservatory dull and gloomy, are your windows streaky or your frames grubby? Entrust your Window cleaning requirements in Milngavie to the area’s professional window cleaners. Our window cleaners are experienced in cleaning a variety of window types including leaded glass and stained glass for home and business customers in Milngavie. In fact, we clean all types of windows and conservatories with equal care and attention to detail. 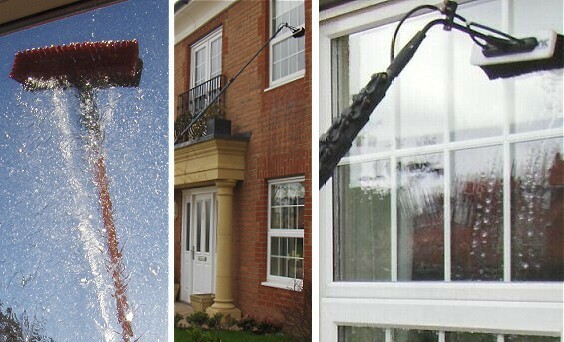 From effectively removing dry soil, to using different cleaning methods such as water fed pole, high pressure cleaning and steam window cleaning, our window cleaners Milngavie customise specific cleaning techniques to extensively clean and restore your windows to their original glory. Do you require one-off or regular window cleaning in Milngavie? Get in touch with our helpful window cleaners for free window cleaning estimates. Call us today from anywhere in Milngavie.